The War of 1812 is back! Sort of! In The Left-Handed Fate, author Kate Milford uses that little-remembered war as a backdrop for her story, and her musings on the nature of justice, particularly from the perspective of younger readers. Writing about war for kids is difficult, and probably every book that attempts it is difficult in its own unique way. 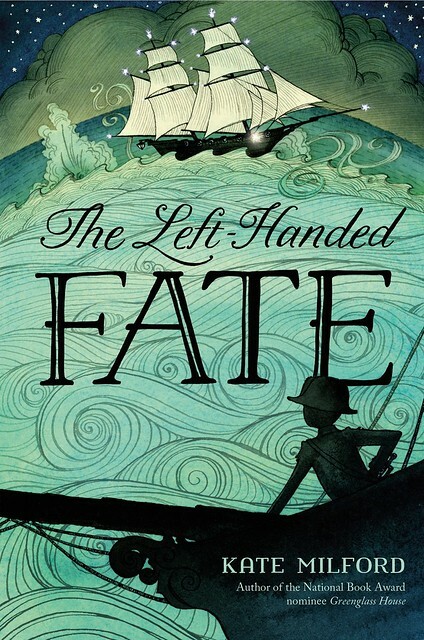 My newest book, The Left-Handed Fate, launches today. It’s a nautical fantasy set during the War of 1812, a time period I chose because it made sense for what I wanted to do (write a fantasy with ships in an era when kids in nautical families could go to sea and get up to adventures at very young ages), not because I was super-excited about writing a story about war. I knew that tackling the realities of children in wartime was going to be a challenge, but in the end it wasn’t a matter of the violence, or the convoluted economics and politics that kept Europe and the Americas at war for decades that made it so. It was the problem of treason and justice. Kids have finely calibrated senses of justice. It’s one of the ways in which they make sense of the world, society, relationships, and basic interactions. Fairness is one of the laws of the universe–until, of course, they learn that it totally isn’t a law of anything. They also have sensitive rightness meters–another apparent law of the universe when you’re small is that in any altercation between two parties, there will be one party who’s right, and one party who’s wrong. These two beliefs–the belief that in most situations there’s a right side and a wrong side, and that fairness and justice should determine which side is which–persist to some degree or another throughout adolescence and sometimes deep into adulthood. And there’s a third thing that kids believe that sometimes they don’t grow out of quickly enough: the idea of being at the center of things. When you’re a kid, the most natural thing to assume is that that things are about you, or sometimes about things you identify with. The biggest challenge of this book was to overturn those three basic, world-defining beliefs of childhood in a way that would still tell a satisfying story to a young reader. Because I have been in enough schools and discussed enough books with enough kids to have heard some variation of, “I understand why it had to be that way, but I didn’t like it” a million times. And in the end, while I think it’s nice to wind up with a book that has Something To Say To Young Audiences, mainly I want my readers to fall in love with the characters and their stories. I want them to love the story I tell. If it makes them think and challenges their worldviews, cool. But I want them to want to share it with their friends. In LHF, I have three point-of-view characters: a British privateer and the also-British natural philosopher that hired her ship to help him build a weapon, and an American midshipman who’s made prize-captain when the privateer is captured. The entire story depends on the American kid deciding to help his enemies, who are mostly concerned with their ongoing war with the French and not about the conflict with America at all. This despite the fact that America was completely justified in declaring war in 1812. 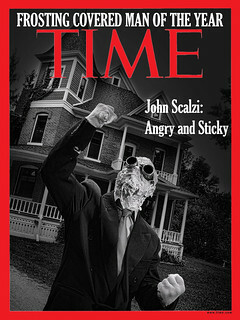 Our grievances were real. The American kid could be forgiven for feeling pretty confident that his side was right and Britain was wrong. And yet, I needed to have him come to the realization that the right choice was to side, for this particular adventure, with his enemies. To decide to risk court-martial and maybe death, but certainly to ruin his barely-begun career in the process. All of this is a problem because it’s not fair, and because it’s hard to argue with the idea that, in this particular conflict, the American kid’s side is the right side. So my difficulty was how to get across to my readership of mostly elementary- and middle-school kids that frequently there’s more than one right side, that often “fair” is meaningless, and that sometimes even when you’re in the right and justice dictates that you should get your way, sometimes there’s a bigger picture that renders all of that irrelevant. That sometimes it’s not about you. But the thing that makes the era of constant warfare that includes both the French Revolution and the Napoleonic Wars relevant today is, I think, the insane nationalism and xenophobia that characterized all sides of these conflicts. So although I needed Bonaparte to represent a kind of offstage megavillain, I really wanted to avoid any dangerous oversimplifications that involved painting the entire country as the enemy. There are too many adults today that can’t wrap their heads around the concept that it’s possible you can’t identify people as evil simply by virtue of nationality; I didn’t want to support the idea that geography makes enemies in a book aimed at kids. 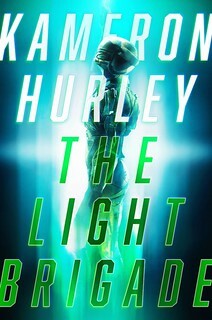 Fortunately, kids can handle both darkness and complexity, which is good because the ultimate solutions to my story problems required both acknowledging the intricacies of the various wars at the time and acknowledging the sometimes very frightening events that made the stakes so high on all sides. But the truth is, it’s hard to ruffle kids in my target age range. Generally, when I go into schools and talk about my work, neither the convoluted politics nor the occasional carnage shock them. What does throw them for a major loop is being told that the United States fought a war that wasn’t particularly important in the global scheme of things, which it didn’t technically win, and in which it got convincingly trounced by Canada. That messes with them. I hope you’re doing a lot of promo on Canadian sites (just google Canadian Book Review sites and you’ll see lots of blogs) because the War of 1812 is very big up here. I just showed this post to my Canadian Partner and he snorted at the idea that the war is “little known”. As an American now living most of my year in Canada, I’m constantly surprised at how much people here are interested in all their history, not just the high points that we always read about. I think you’ll find quite an audience here. The War of 1812 might be mostly forgotten in America but not in Canada, especially in the Niagara Region where I live. The forts from the war are maintained historical sites with tours and demonstrations, including battle reenactments every year (look up the siege of Fort Erie). I definitely recommend reading some of the war histories from the Canadian perspective. @KW and @Magda–Absolutely agreed. I think it’s under-taught in American schools. I grew up in Maryland where it’s also kind of a big deal and even so about the only thing I remembered about it prior to working on this book was that Francis Scott Key wrote a poem. Which is a shame because it’s a fascinating conflict. And yeah, reading Canadian histories is critical. The bias in some of the American ones is…impressive. Some consideration of the Native American point of view would also not be amiss. There were some other winners in this war too, the thousands of African Americans who sided with the Brits and managed to get to freedom by helping them, particularly in the Chesapeake region. Ultimately too, the War of 1812 was a win for John Quincy Adams. That his mission to Russia was so important to the trade negotiations of Britain, France and the U.S. showed that this war mattered in Europe as well. In the meantime it disrupted the African slave trade so extensively that for just about the only period shipments to the New World just about stopped — and the 18th century was the zenith of that African-Atlantic trade. It also disrupted slavery in the U.S. enormously, making that era just about the only time thereafter in the U.S. until secession that there was any serious discussion in the south of ending the institution. After that, never again — as all that land that Andrew Jackson had made safe for slavery sent the domestic slave trade and the price of slave to rise and rise and rise, and rise some more, until the War of Rebellion (as Grant as always called it). And of course, some families in the U.S. got very very very rich out of this war. Oops — in my typing haste the comments about the African slave trade are not clear: of course by the time of the War of 1812, the importation of slaves into the U.S. from other parts of the world had been abolished by Jefferson — as protectionism for the domestic slave trade. As was declared by self-emancipated Louis Hughes: “Virginia was the mother of slavery,” sending many many thousands down into those lands of the Louisiana Purchase (which were a virtual colony of Virginia for a long time with her long string of occupants in the White House) by ship and by foot. Louis Hughes himself certainly knew about coffles as he himself was chained and collared in one, going southwest out of Virginia. By the time the African slave trade was prohibited (1808) slavery in the U.S. had long been perpetuated by “natural increase,” unlike slavery anywhere else in the New World. Thus far fewer than 400,000 Africans were brought to North America — a miniscule number compared to the millions and millions brought to the Caribbean and South America. So this too was immensely affected by the War of 1812. The reason we don’t like to remember it isn’t because it didn’t matter, but because, except for Jackson’s wars on the Spanish and the Native Americans, and some of the actions at sea and on the Chesapeake, the U.S. military actions were risibly pathetic failures. Even D.C., such as it was, was invaded and got burned, saved by a mother of a storm from entire destruction. It doesn’t fit with our national mythology of being always WINNERS! I read a recent biography of Jackson by H.W. Brands last year. Fascinating. The material about the War of 1812 was certainly consistent with what Constance has written here. Of course there was also the Battle of New Orleans. @constance–You hit the nail on the head. On so many levels, this war doesn’t fit with the way America likes to see itself, which is just another reason we ought to be teaching it in a more comprehensive way. And @StephenfromOttowa, thank you for pointing out a missed opportunity in what I wrote above–while impressment and free trade (I think) make a good argument that declaring war was justified, the US went from there and proceeded to attempt to invade its neighbor. Not an ideal way to preserve any high ground we might temporarily have had. Slightly earlier time period, but another thing I found really interesting during the research for this (especially given our current attitudes toward military spending) was the reluctance of the United States at this point in history to take any steps toward building a permanent navy. Ian Toll’s SIX FRIGATES was a fascinating read that I’d highly recommend. Talking about war to adults is hard too. As a Canadian living in the US I’ll also quibble with the claim that the US was justified in declaring war. As is pointed out elsewhere, this is a war that was rammed through by southern interests over the objections of the more populous New England states and it was never popular nationally. Behind the flowery orations in congress, the subtext was plain: the Brits are being distracted by Napoleon, so now’s our chance to seize the rest of the continent boys! It was a blatant attempt at a land-grab that was only mitigated by the fact that most of the country participated only half-heartedly. Note that the second Napoleon was defeated the US was suing for peace and eager to sign the treaty of Ghent before the huge, battle-hardened and well trained soldiers of Wellington’s army could board the enormous British naval fleet and sail over to undo the losses of 40 years ago in that colonial backwater. Jackson’s victory in New Orleans notwithstanding, no sane American politician relished the thought of war against Great Britain when they weren’t using the 90% of the army that had been occupied with Napoleon! As for the histories, other commentators have struck the nail on the head: Americans don’t like to think about the War of 1812 as it’s extremely incompatible with American mythology. A war ginned up by moneyed interests that involved stabbing a distracted enemy in the back and stealing his stuff? One that resulted in massive, embarrassing losses and the near-destruction of the capital? One that the Yankees actually lost? Naw, couldn’t happen! There’s the vague reference to the battle of Washington when talking about the origin of the national anthem and lots of chest thumping over the battle of New Orleans, but American histories gloss over the rest of it. In contrast, this was a major factor in early Canadian history and every child learns in school how America tried to effectively mug us and failed. The war directly resulted in a number of defensive projects that still stand today (Rideau Canal for example) and lead to the first serious discussions about Confederation. It’s generally accepted that one of the main reasons Canada became a country 55 years later was in order to more effectively defend against American aggression without having to wait for help from Great Britain next time. The net result of all of this was neatly on display when I was taking both Canadian and American history in high school: the 250pg Canadian history book had an entire chapter on the War of 1812 while the 650pg American one devoted a mere 2/3 of a page to this embarrassing little bit of history. The war was mostly a draw, with benefits reaped by both sides: On the Canadian side, the American land grab was repelled, and early steps toward a nation of Canada were advanced. On the American side, the military was transformed into a professional fighting force, a national American identity was strengthened, and an easing of partisan enmity into the Era of Good Feelings. Question for the author: Is this set in the “real world”, or the slightly skewed universe of “The Boneshaker”, “The Broken Lands”, “Greenglass House” and “Bluecrowne”? I suppose an agreed upon history, even if it is wrong, is like agreed upon customs: As the anthropologist said in Heinlein’s Citizen of the Galaxy, better illogical customs than no customs at all. I’m still chuckling at how when I was a boy a prominent U.S. children’s textbook that covered the (U.S.) Civil War came in two versions, one for the north, and one for south of the Mason-Dixie line. I don’t know whether that is still the case today. Sounds like a terrific book. — America and Canada and England and France: Close or distant cousin-nations fighting each other despite a need for alliances. Awful internal strife in France exploding into continental conquest. Not the brightest shining moments of our countries’ histories. And yet eventually, we’d re-establish more or less good relations. Having an American youth and/or a British youth having to reassess their own sides, good idea. There were boys and men from both sides of the Atlantic pressed into each other’s navies and civilian ships. And it was a risky, harsh life for boys and men, yet back then, very young kids (6 and up) might serve on ships and midshipmen (student officers) might be as young as 12, yet taking on adult responsibilities and extreme risks. But sometimes, that was a haven from rural or city or coastal poverty or a, ah, dubious past record. It was a way out for orphans and the unwanted, the misfits, or the ambitious or adventuresome. But Americans today really often don’t know what real hardships like war or other hard choices are. We’re so used to a mostly stable, lawful nation, and many people don’t know serious hardship. Although an increasing number do lately, due to conflicts and economic hardships. I don’t think it’s wrong/bad to let kids know how much trouble there can be in the world and how difficult making choices can be, how to choose the right thing when both choices seem not very good, or impossible. I think it’s better to prepare kids and teens, rather than to shield them too much from reality. I say that because I was really overprotected, and my parents didn’t prepare me in some ways much at all. They may have thought they did, or that I’d make it through. But my own skill set and personality and way of thinking are very different than either of my parents were. Some things have been, or still are, tough to unlearn, or learn to begin with. Why my parents did it this way, I don’t know. They were both from poor to lower middle class backgrounds, and pulled themselves into the middle class and upper middle class. So they were usually practical and knew what was out there. And yet they sheltered me from that too much. But wow, when I got to college, I was shocked at the number of kids out doing everything their parents didn’t let them do at home, and how they couldn’t handle it. I thought I was more mature and smarter, and mostly didn’t do all that. I should have tried more, broken some limits, made some more mistakes, and learned from them then instead of later. What I see these days is even more of a tendency for kids to be sheltered from the realities of life, if they are lucky enough to be middle class or higher. That, to me, is setting them up for some harsh lessons as they go through their late teens and early adulthood and on, when they have to learn what real life (work and personal) is like. Kids and teens do have an ability to see through things, to get past the worst parts and survive, learn, and grow. So having them see a more realistic picture of that time period, in writing, gives them a chance to see things in a way that won’t personally threaten them, and that they can deal with a little more remotely. Yes, some kids are more sensitive or have overactive imaginations (myself as a kid, for instance) and yet they’re likely to be able to deal with what’s going on in a fictional context. Kids see what’s on TV and in the real world. Kids see things in their own schools, their neighborhoods and city. They get exposed to all kinds of things in the media (web, TV, film, radio, print, gaming) that really can be strong content. But most kids can deal with that all right. — It’s the parents’ jobs to guide their kids through all that, to discuss it or explain it. But kids do have to go through a certain amount, regardless of whether the parents want them to or not. (Kids will see things in the media and out in real life anyway. It’s inevitable.) So I think it’s better to let them figure some of this out themselves, with some guidance, because that’s what parents (and older siblings, cousins, other mentor figures) are there to do. Trying to cover that time period, what was going on in history, any of those countries, human rights, other issues…is a big task. So much was going on, and none of our countries were showing their best lights, really. — But then, a quick look at the news today shows countries and people still are very imperfect, not behaving very well, huge problems out there. So in a world that’s going to be very difficult, with hard choices, for today’s kids and the adults they will be, it seems to me like giving them something to model that, an adventure story that’s not easy to navigate through (pun, sorry) might be good preparation. And besides, it sounds like a heckuvan interesting story anyway. Think I’d like this one myself. The true winners ,and plucky underdogs, were the Canadians who gained and deserved a feeling of pride and nationhood from the war. Without it she may have been voluntarily sucked into the us. Wow! I didn’t expect the war of 1812 to get such a passionate response. I knew the Canadians I’ve met care about it but thought most Americans preferred to forget this war whilst almost all of my fellow Brits have never heard of it. Even for those interested in military history the events of 1812 to 1815 in Russia, Germany, Spain and latterly France tend to attract all the attention (though wargamers are an exception as restaging Crysler’s Farm is just as interesting and a good deal more practical than trying Borodino or Dresden). It always seemed to me that there were two wars: the fighting one that the Americans clearly lost to the Brits (given that their admitted and unadmitted war aims were not achieved, though I guess that they simultaneously won against the native americans) and the internal talking war that took place in the USA after 1815. The Jacksonians (or whatever we might call them) clearly won the latter and for many years thereafter controlled the historical record. This control strikes me particularly when reading popular American accounts of New Orleans. Setting aside the fact that a battle fought well after peace was agreed only really matters to the dead and injured, all these accounts seem to concentrate on the battle itself – which is actually a bit boring – and ignore the preceding events, which are both more interesting militarily and do not reflect too well on the American high command (given that, in the days of sail, New Orleans should have been impregnable when faced with a sea born invasion and the invaders should never have got anywhere near the city). However, my impression is that this may be changing: for example, the recent interest in the history of slavery is giving a distinctly different view of the war. Getting back to the subject of the post, the book sounds very interesting but, as is so often the case with “Big Idea” posts, the UK publishers are doing their best to sabotage the author’s publicity efforts. The hardback is not out until September, the paperback will not be out for a year and the ebook, which is out, is overpriced at £12.28. Like other “Big Idea” books before it I fear I’ll have forgotten this before a reasonably priced version is available. @Adam Lenhardt Hey, thanks for asking! It’s set in the same world, part of it in the same city as Greenglass House and Bluecrowne. Bluecrowne is a close companion, having a handful of the same characters (including Lucy and Liao and the schooner Left-Handed Fate itself). @bluecatship I agree with you that it’s important to trust kids to be able to handle more than we give them credit for. One of the things that’s become particularly important to me is hopefully showing them how frequently we’ve found ourselves fighting over the same sentiments and issues, including plenty that are still dividing us today. One of my previous books was set in 1877, for instance, and I’m still blown away by the parallels between then and now. I aced history all through my school years and although I definitely understood that the end of Reconstruction was basically a capitulation, I never had an inkling of how deep the rot ran until I dove into that research as an adult. Maybe some of this was due to growing up in a border state? Or maybe it would’ve been the same anywhere–the American mythology requires that we tell our kids that after the Civil War, slavery came to an end and the country came back together, and the rest is just details, just like the mythology requires that 1812 be about “The Star Spangled Banner,” Dolley Madison saving a portrait, and yes, Jackson, rather than the realities being discussed in the comments above. Among the most damaging ways we shelter our kids is by raising them on mythology rather than history. @Mike Hall, I am completely delighted by how passionate a discussion of 1812 turned out to be. I have really loved my time studying it and I hope I can get across even a little bit of the complexity of it to young readers–although I will say LHF takes place right at the beginning of the war, so the vast bulk of the really complicated stuff (and most of the events that really cause one to rethink the American mythology) are in the future. I deeply hope I can return to these characters again and dig into some of that history. I’m sorry to hear about the UK publication concerns, though. I had the typical American public education version of history, and then I had the typical two semesters of American history in college. But I don’t recall much detailed attention given to the War 1812. I was very lucky to have a good new teacher, passionate about teaching and history, for my Texas history class in junior high. The textbook was good too, pretty balanced. I didn’t always do well on the dates and names on college history tests, but I got the story going on, and ate that up. I don’t know if kids/teens now are getting a more balanced or detailed view of history in middle / junior high and high school. I’d hope so. One of the most interesting things about the American Revolution, before and after, turns out to be how similar (or different) things were on the American and British sides of the Atlantic, with some support in England for the Americans’ views and situation; and how the UK still had similarities in changes there to what happened in America, while the UK did some things in a slightly different way, but how there are still such similarities. — Er, and a few times lately, it has been very disconcerting, as an American, to hear British viewpoints on what’s been going on in America for the past few decades and now, and think, ouch, our British cousins have a point and might be more right (or more democratic) than we Americans. Heh, how’d that happen? Or importantly, how do we improve things over here. Meanwhile, the Brits have their own woes over there in how things are run, so neither side’s at all perfect, both muddling through. Yowzah! I knew we’d lost the war, but this was something else again. Having said that, I can recognize and appreciate the boatload (excuse the pun) of research that went into this. Will have to bone up on my history–and buy the book. (Or borrow…or steal…) At any rate it sounds terrific! Hmm. Pre-Revolutionary America I’ve delved into, post-Revolutionary America (after 1812) ditto, but this opens up something new to my eyes. Whew! This is about as good as research into Tadeusz Kosciusko (and no, California doesn’t pay to have him featured in the kiddy textbooks either). I tip my hat to such a concerted effort. It’s similar, I think, to accounts of life in Europe from 1932 to 1945 (or thereabouts). The other comparison is partitioned Poland prior to 1918. I was obliged to research both subjects. I was also obliged to research the holy living daylights out of every dissenting viewpoint from 1914 to, again, 1945 or thereabouts. I could bore myself and everyone else silly with all the seemingly unconnected subjects I had to stick my nose into to assemble something that approached the truth of one man’s life, but the point is, research of this sort is all-consuming. You can get in up to your ears and still have the sense you don’t know everything there is to know about the object of your research. After a time it is necessary to stop and trust the story to take care of itself. @bluecatship: Speaking as a student, I can tell you it is a bit more balanced, but detailed? Heavens forfend! No, if you want the details, be prepared to hit the library stacks (or the Google searches into the dead of night) yourself. We still don’t give much attention to the War of 1812 aside from “they set fire to the White House” and “Dolley Madison saved a portrait”. Your projected adulthood for the protagonist of LHF is, to say the least, interesting, and I like it because it keeps fairly close to actual historical details of what would happen to such a young man after he destroyed his own career.